Today it's part of a renowned, celebrated tequila legacy. But our rich tradition began in 1873 with one visionary, Don Cenobio, in the agave fields of Tequila, Mexico. He worked tirelessly and passed down hard-earned wisdom and his son and grandson did the very same, resulting in some of the most cherished tequila anywhere. This is the Tres Generaciones® Tequila story. 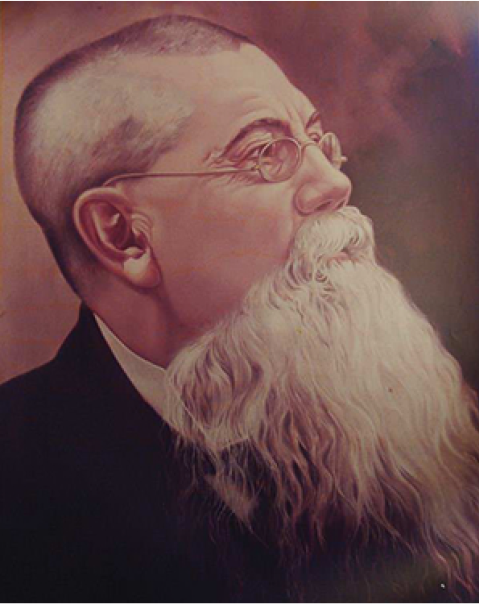 He founded the Sauza distillery. He shortened the spirit's name to "tequila." Don Cenobio Sauza achieved many amazing firsts that would change the tequila industry and lay the foundation for what it has become today. 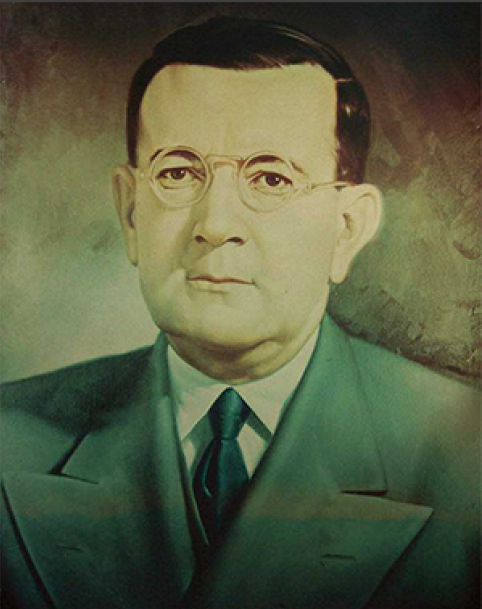 Don Cenobio Sauza, the man who would be known as "The Father of Tequila," was born on October 30th in Teocuitatlan. Don Cenobio's long quest for wisdom and tequila-making expertise began when, at 16, he moved to the town of Tequila. A year that changed tequila forever. 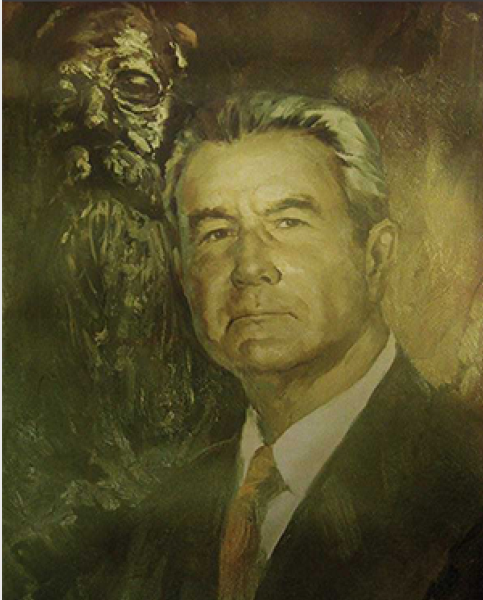 Don Cenobio founded the Sauza distillery, naming it La Perseverancia ("Perseverance")—a fitting name for the place where his tequila is still made today. 1909: When he finally passed the reins of the Sauza distillery to his son, Don Cenobio had accomplished more than just helping the town of Tequila and its economy thrive—he'd planted the seeds of a family legacy. His Legacy: Don Cenobio passed down his belief that tequila could one day stand shoulder to shoulder with any spirit in the world. Guided by wisdom passed down from his father, Don Eladio Sauza led the family business and the tequila industry through the most turbulent time in Mexican history. Don Eladio Sauza, the second generation of the Sauza family, was born in the city of Tequila on June 16th. Showing from an early age that he had the Sauza pioneering spirit, Don Eladio grew up watching the Jimadors work in the agave fields and learning at his father's side in the distillery. At 20, Don Eladio put to use all the wisdom he'd acquired—plus the determination and business sense inherited from his father. He took over the Sauza Family business. Carrying on his father's belief that it was time to showcase their tequila to the rest of the world, Don Eladio established distribution centers throughout Mexico, Spain and other countries. While the turbulent Mexican Revolution seized the country, Don Eladio kept his company steady by rallying patriotic sentiments around tequila and tequila making. It became a craft the entire country took pride in. Don Eladio wanted nothing more than to help Mexico reclaim and celebrate its heritage after 31 years of dictatorship. To do that, he started Guadalajara's first commercial radio station and opened The Colonial Club, its first nightclub. Legacy: Don Eladio passed down his tenacious spirit and his pride in the Sauza family's authentically Mexican product. He wasn't only tequila's first true global ambassador—Don Francisco Javier Sauza created Tres Generaciones®. It all started with one exquisite small batch of tequila to honor to his family's mastery of tequila making. Don Francisco Javier, the third of the Sauza Dons, was born in the town of Tecolotlan on December 8th. Upon discovering that distillers in other countries were creating their own "tequila," Don Francisco Javier helped pass the Origin of Denomination—a law requiring a spirit's origin to be printed on its bottle, ensuring that tequila can only be produced in Mexico. One of the proudest accomplishments of the Sauza family, Tres Generaciones® is the result of three generations of hard work, wisdom, skill, passion and courage—a super premium tequila, triple distilled for superior smoothness, to be enjoyed neat, on the rocks, or in a selection of sophisticated cocktails. Find out more about all three variants of Tres Generaciones and learn about our distillation process. Our Plata Tequila is an un-aged, crystal clear tequila made from 100% blue agave. It is triple-distilled, giving it a unique pure agave taste and smoothness. TASTE: Initial spiciness on a background of herbs and fresh agave. It is exceptionally well balanced with no bite or burn. Our Reposado Tequila is, naturally, made from 100% blue agave. It is triple-distilled for smoothness, then rested in American Oak barrels for at least four months. Our Añejo Tequila has a rich, 100% blue agave flavor enhanced by 12 months in toasted American oak barrels where it gains its delicate amber hue, an array of subtle flavors, and its unique smooth, smoky finish. In the very same distillery where Don Cenobio Sauza began everything in 1873—and with every bit as much pride and dedication as the Sauza Dons before him—our Master Blender hand selects only the only most distinctive tequila to become Tres Generaciones. The story behind a bottle of Tres Generaciones® Tequila begins with a tiny agave plant in the nursery at the Sauza Ranch. It is nurtured by hand for the first year, then planted in the fields and cared for another six to eight years until it reaches perfect ripeness. Judging that moment—and hand-harvesting the agave plants—is the job of our Jimadores, whose rare skills are passed on from generation to generation. We insist on the process of "gentle extraction." This removes the harsh bitter fibers of the agave plant before we begin to cook the sweet agave juice inside. This helps us achieve the purest agave flavor with no harsh burn. Our Master Distiller hand selects only the most distinctive batches for Tres Generaciones® and tastes them at each stage of production—ensuring that only the finest tequila of the most superb quality reaches the bottling stage. Even then, every batch is checked again by a dedicated panel of expert tasters. After cooking and fermentation, Tres Generaciones® is distilled three times, rather than the typical two distillations used by most tequilas. This removes any remaining impurities, producing a smoother, more refined flavor without any harshness or burn. Tres Generaciones® Añejo and Reposado tequilas are aged and mellowed in distinguished American white oak barrels, adding beautifully complex flavors. Our Reposado rests in barrels for at least four months, gaining a pale gold color and light oaky flavor. Our Añejo spends at least 12 months in oak barrels, medium-toasted to enrich the taste with a wonderful, smooth, smoky finish. Finally, each of the three Tres Generaciones® tequilas are bottled and labeled by hand at La Perseverancia, the same distillery where the Sauza family began pioneering their craft in 1873.